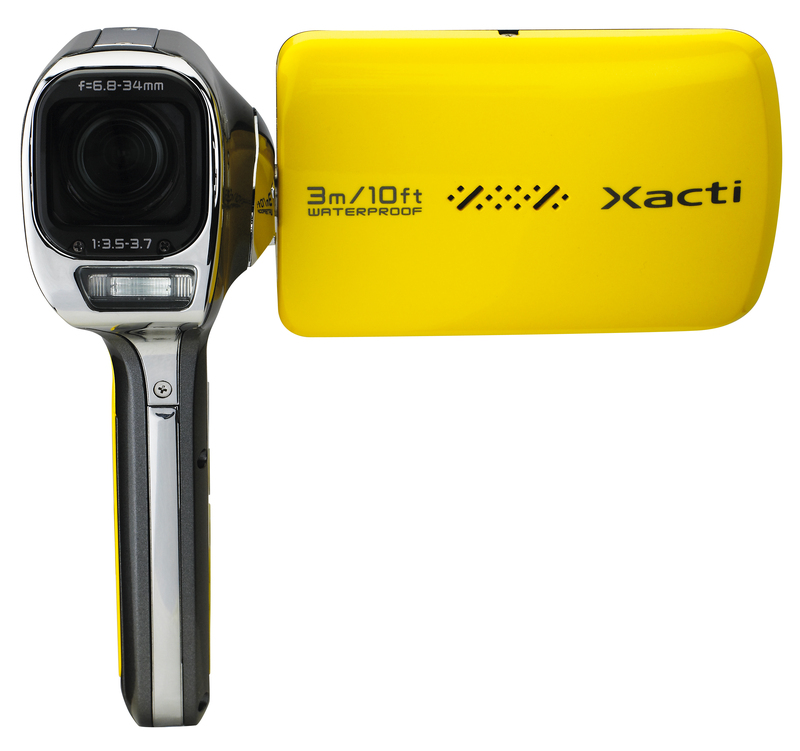 SANYO North America announced a new Dual Camera Xacti, model VPC-CA102YL, which is waterproof and provides Full High-Definition recording at a 1920 x 1080 resolution. 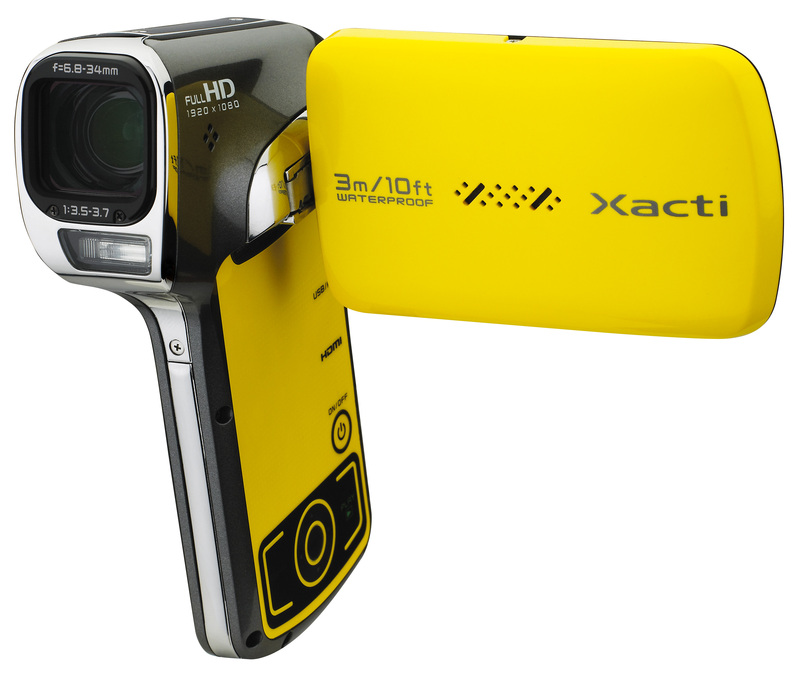 This new dual camera can record over 480 minutes of full high definition video on a 64GB SDXC memory carp. The device will be released this month, August, 2010, for the price of $349.99. The VPC-CA102YL Dual Camera provides amazing portability, allowing the consumer to carry it in a pocket, backpack or even a purse, ready to be used for any time, any condition, and any weather. 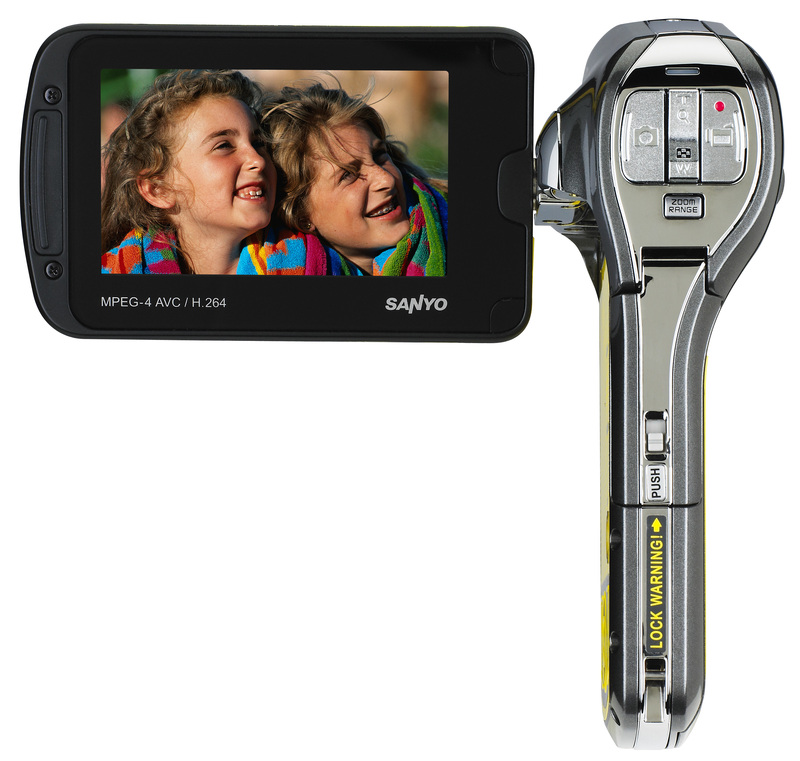 The SANYO Waterproof Dual Camera uses the MPEG-4 AVC/H.264 video format, simplifying the online video sharing. Digital Photos and HD Videos can also be displayed in Full high-definition resolution oh HD TVs. “Dual Cameras are packed with features and offer incredible flexibility,” says Tom Van Voy, Vice President and General Manager of the Digital Solutions Division for SANYO North America. “This is the ‘take everywhere’ camera; water, snow, or land. Getting great HD video and still images is incredibly easy with the new CA102YL,” said Van Voy. 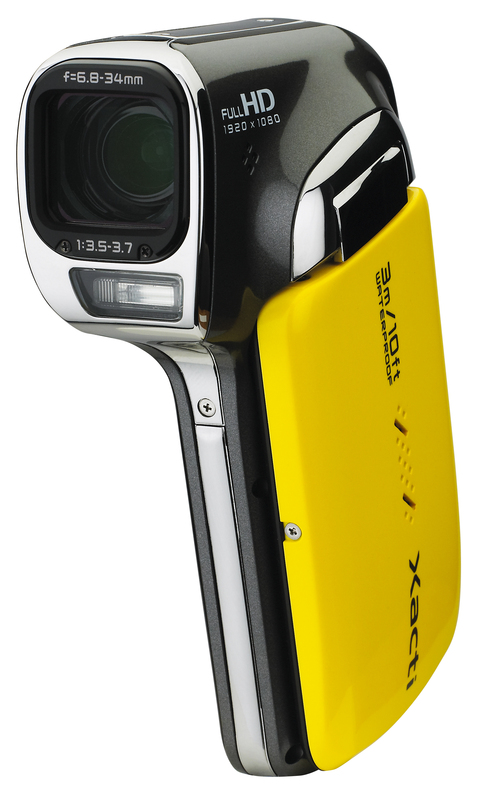 The VPC-CA102YL Dual Camera by Sanyo, uses features double-range zoom, allowing a 12x “zooming” while recording a video. The High-Speed Sequential Shooting feature provides up to 22 photos at 7 frames per second capturing. 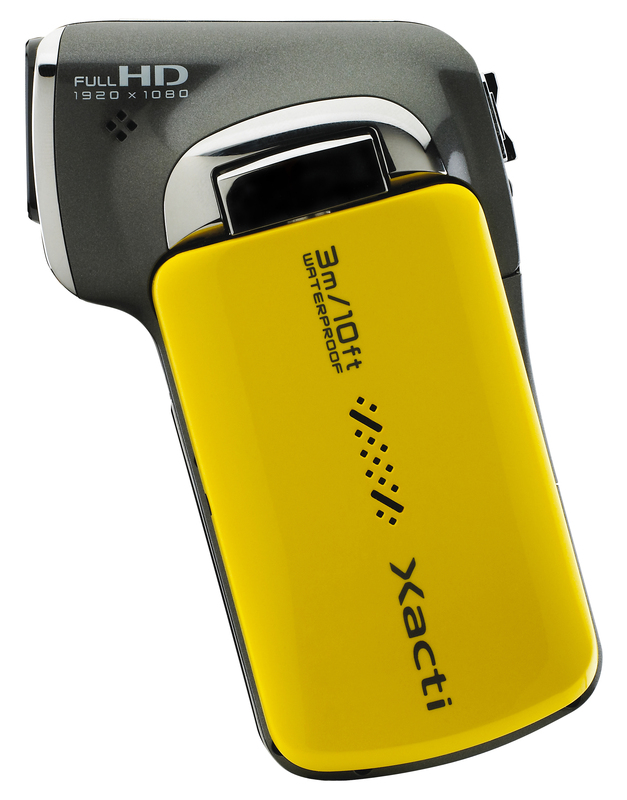 The Sanyo VPC-CA102YL comes in a stylish and compact design, with a yellow and vertical shaped body with gray accents. Recorded videos can be saved to a SD or a SDHC, or even a SDXC high-capacity memory cards up to two terabytes. The battery life while shooting in Full HD mode is approximately sixty minutes.